CIDOB March on bridge over Río Limón, originally uploaded by Carwil. 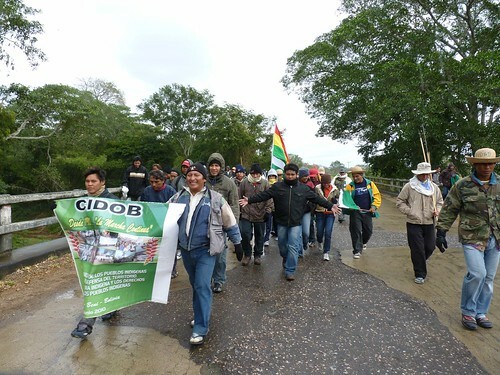 I visited the national indigenous march being led by CIDOB (the Confederation of [Lowland] Indigenous Peoples of Bolivia) across the country yesterday, as it made its way to La Senda, a town in central Santa Cruz department. I’ll have a more detailed report soon, but there are some photos in this flickr set.